How to Determine the Cost of an On-Demand Delivery App? The on-demand services are for delivering door-to-door services from people around the globe. These on-demand delivery apps are very much in demand over the last few years. Whether it is shopping for your favourite grocery items or availing of a taxi ride, all these are available in the form of these on-demand services, that too with just a few taps on the mobile device. What are the Characteristics of an On-demand Delivery Marketplace? A smaller investment is required for starting a business. This translates in the on-demand market scenario as limited within geographical area and with dense population. This will only grow your user base without slowing down the service. Advertisement of the on-demand app must be carried out before the app is launched. All channels must be used for the purpose, from social media up to PR. A referral program in your app is used for acquiring users for the app. When the referral is given from the customer, he invites a friend who uses the app and is ensured with a free delivery in return. The retailer has already acquired a customer base, so collaboration is a great way to grow the user base. Initially, the startups may contact with the smaller retailers but later larger retailers are brought into picture. Customer feedback becomes important after delivery is completed. Innovation of the app is based on user feedback. The customers remain happy while reacting to the feedback. Vouchers, gifts and discounts are quite useful for the continuity of the customer’s use of the app. Higher discounts may be allowed for those users who are using the apps for a longer time. Special offers are implemented with the loyalty programs. Customer support is easily obtainable through the on-demand app. Quick and friendly responses to the complaints and enquiries from the customers must be ensured. How to Find the On-demand Delivery App Cost? There is a cost estimate provided by the on demand mobility solution company which includes the working cost of the developers, designers, team members and the Project Managers who are working in the project. The on-demand delivery app cost depends on the recent trends and the industry standards and this may vary from company to company. The variation in the average range occurs because of additional features and functionalities as demanded by the target audiences. The cost estimates are based on the working number of hours and the hourly rate. 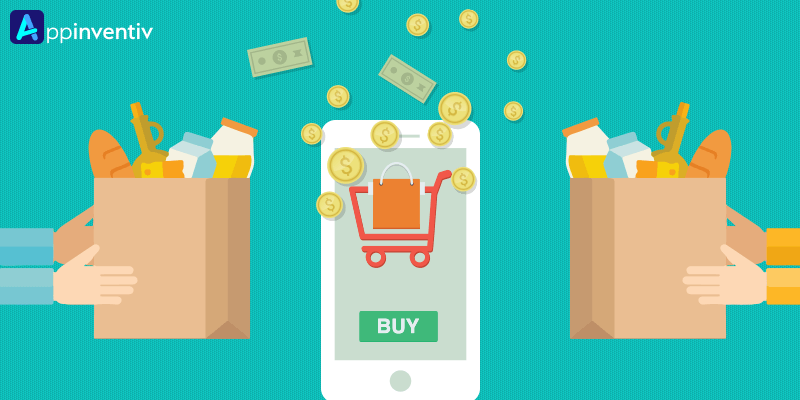 The price of your app depends on certain features such as promo codes, referrals and payment with mobile wallets. The average number of hours that goes into the development of on-demand apps like Uber or Lyft are somewhere around 2000 hours, which when calculated on the basis of the average hourly rating of 30$ comes out to be – 60,000$. The on-demand delivery apps have the important feature of taking payments through mobile wallets or credit cards. The cost incurred for the on-demand mobility solution is usually based on per-hour basis, as implementation of the promo codes for the apps takes three additional days. Appinventiv is one of the top-rated mobile app development company, that have seen an outstanding pace of growth, in a matter of two years time. They have worked extensively in the various verticals like restaurant, health, learning, entertainment and many more. They believe in delivering user-centric apps for their customers, utilizing cutting edge technologies.